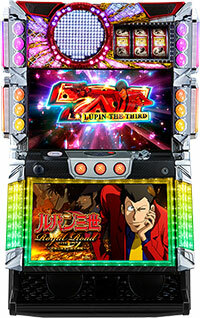 Today, we will be introducing the latest machine of a popular pachinko series, “Lupin the Third”!! 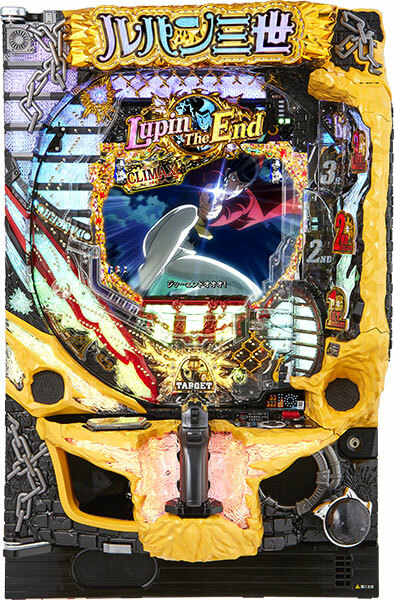 This is the successor of a popular pachinko machine, “Lupin the Third: Erased Lupin”, and has evolved for more excitement. The highlights of this machine are the accessories loaded onto the chassis. Also, player should pay special attention to a gun-looking accessory of ‘Lupin Trigger’, which is a completely new accessory. By pulling the trigger, player gets to increase the chance of winning and can even win the jackpot!! It is expected to make its debut on 24th of October!! Today, we will be introducing a pachislot machine with a motif of “Lupin the Third”, which is getting an attention due to its new TV series for the first time in 30 years. This latest pachislot machine is loaded with a unprecedented giant button called “attack vision”. The whole lower part of the LCD monitor transforms into a button! By pressing this button with excellent impact, your victory might be close!! As the tag line of “Feel the Lupin with your eyes, ears, and heart!” says, this machine is sure to give you a good time with various renditions. Expected month of debut is this coming October, which is the same month with the premier of new TV series. With its new TV anime series coming up this autumn for the first time in 30 years, “Lupin the Third” is gaining considerable attention. “Lupin the Third” is a representative of Japanese manga that people around the world love, and its new anime is being aired in Italy from this month as a premiere. 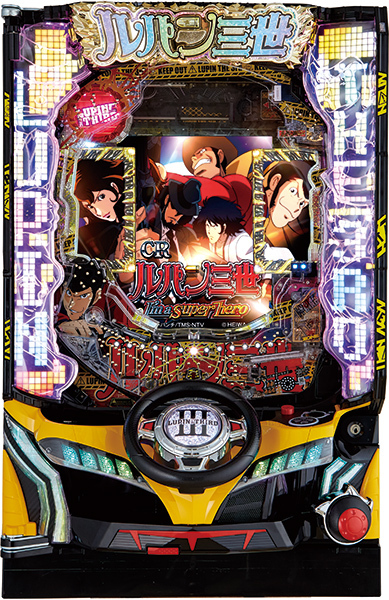 “Lupin the Third” has been released as pachislot and pachinko machine in the past, and its latest machine is debuting as a pachinko machine. Compared to the previous pachinko machine, excitement of Lupin’s world has been enhanced for sure. It is expected to make its debut from Heiwa around this summer.